Moringa School Core: various tracks (web, mobile, cloud) offered to students in a 5-month course (including professional development). The content is created based off of employer demand for such skills. Totally the Place to Be! Moringa School has definitely changed my view on what coding entails. Its really a great place to be; the environment is fulfiling and learning is fun. Although sometimes it can be intimidating, what I am most thankful is that I got to learn How to Learn...Having to learn something entirely new and expect to grasp it in a snap isn't that simple. But due to the encouragement and mentorship from the Technical Mentors, my fellow colleagues and the community as a whole, it gets much easier with time. Anyone searching for a place to begin your coding journey...Its the place to be! After doing one year of university, 'learning' computer science and never actually coding, I decided to leave and look for another option because there had to be one. I found Moringa and since I joined I have never looked back. The course is short and intense!! In the end it is worth it cause in one month of Moringa, I coded more than I did in 6 months of university. I am entirely grateful to the school for allowing me to be the coder I am now! 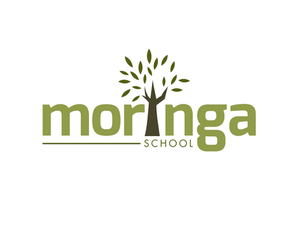 Like many other graduates, I was referred to Moringa School by a close friend, and the idea was to just go check it out and find whether what they were offering was something I might be interested in. The structure of the curriculum really stood out for me. There is Junior Moringa where complete beginners are introduced to the very basic concepts in programming, and the core program where you get into the deep end of software development. Now, my background wasn't tech at all. In fact, at that time I had no idea what I wanted to do with my life. What I knew I needed the most was mentorship and a sense of family, not learning how to write code. If I could ultimately write good clean code then it was a bonus. I was referred to junior Moringa. What stood out during the introductory classes (which last a fortnight) was the friendliness of the instructor. He was so approachable, and kind enough to go over a concept until we all understood it. Remember, I was a complete beginner! We all are very happy with the skills we learnt. i went through Moringa School bootcamp for 12weeks and it's probabbly the best decision I ever made. I joined Moringa School fresh form high school with almmost zero coding experience. GOT OUT A FULLSTACK SOFTWARE DEVELOER. A school you will love. Definitely a place to learn not only fundamental skills required in software engineering, but also a place to learn life skills and how to work with people. I definitely recommend this place to anyone who wants to learn something in the tech space. It has helped me immensely and have grown not only as a person but also as a developer who can compete globally. My only wish, is that the course was a bit longer, love the place. Definately a game changer in the Kenya and regional Tech space, one thing about MS is they have introduced global software engineering standards. An email with these details has been sent to Moringa School. 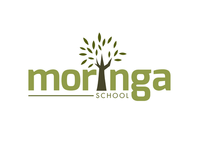 You've already applied to this scholarship with Moringa School.